The Silky Terrier is bold, confident and inquisitive, a dog that is always ready for action. Here is a dog that is terrier through and through with all those endearing traits: smart, yet stubborn and mischievous, yet loyal. Even though they are members of the AKC toy group, they are not your average lap dog even though they make excellent companions and great family dogs. Their loyalty to their owners coupled with their small size and low-shedding coat makes them an ideal choice for those in apartments or urban settings. They are alert and ready to bark at any change to their environment. This makes them an excellent watchdog. Always ready for a walk or a romp in the yard, these dogs make ideal choices for active singles, couples, or families with older children. 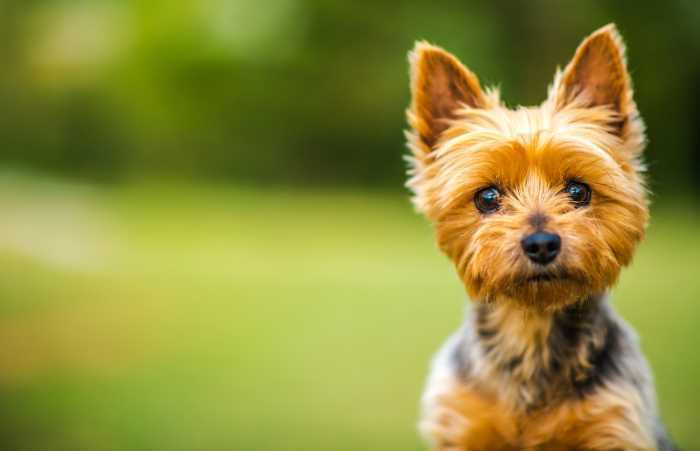 The breed is called the Silky Terrier in North America but is called the Australian Silky Terrier in its country of origin and the rest of the world. They do well in a wide variety of dog sports including obedience, agility, rally, herding, flyball, tracking and earthdog trials. 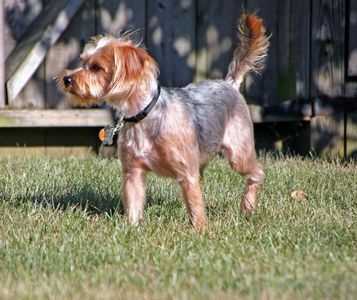 As a relatively newer breed, the Silky Terrier can trace their beginnings to Australia in the late nineteenth century. 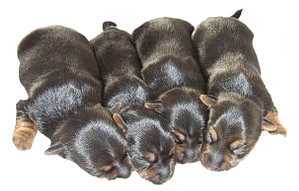 Yorkshire Terriers were brought to mate with the Australian Terrier although even the Yorkshire and Australian Terriers were recent developments from crosses of other terrier breeds. Some of the offspring were considered a separate breed, being an intermediary in size and coat length between from the parents. A new strain of dog was produced within a short time when this group of offspring mated. There were two areas in Australia (Sydney and Victoria) responsible for creating these new dogs with each area drawing up their standards. The breed was primarily developed to be a companion but still retains skills for killing vermin. By 1926, a compromise was made, and one standard was accepted. Initially, the breed was known as the Sydney Silky Terrier then the name was changed to the Australian Silky Terrier in 1955. They were later recognized by the Australian National Kennel Council in 1958 and given the designation of Toy Breed. The breed made its way to America via servicemen stationed in Australia during and after World War II. The U.S. adopted the name, Silky Terrier and the AKC recognized the breed in 1959 and placed in the Toy Group. 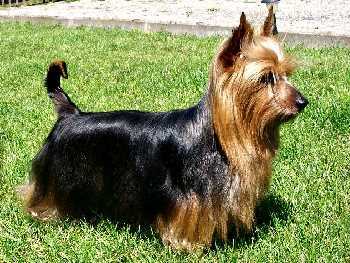 Although very popular when first introduced, the Silky Terrier is ranked 98th today by the American Kennel Club. Many believe that the Silky Terrier is the result of the best between the Australian Terrier and the Yorkshire Terrier but still distinct. He is likely to be the center of attention, friendly to strangers, and hoping to win you over with all his charms. He is smart and sassy and has a way of training his owners to do everything he would like. For this reason, a strong but gentle approach is needed to offset his rather demanding nature. These dogs are not for those who hate barking because the Silky can be very vocal at times. Don’t fall for the looks—he is still a terrier, through and through, ready to dig and chase and play. Still small at 10 pounds, these dogs can be highly portable and would be good for someone who intends to travel with their dog. Most will fit comfortably under an airline seat or in a car seat for a road trip. Since they are a bit bigger than the Yorkshire Terrier, they make a better choice for families with active children. No dog, however, should be subjected to rough, unsupervised play by children. Training is something that should begin immediately. They need to be socialized around a wide variety of people and to her animals and because they are smart, should do well with a firm but gentle approach. 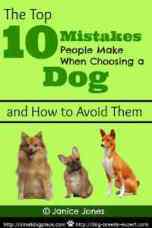 Like many of the small breed dogs, housebreaking can be a problem and make take longer than it would to potty train a large breed dog. Setting up a schedule and sticking to it is important. Consistency is always the key to successful housebreaking. Their long coat is silky soft but does require a deal of work to keep mats from forming. The ideal owner will also enjoy brushing and all the other tasks that go along with owning a long haired breed. This Silky has not had his tail docked. Standards vary from country to country. In the U.S. Tail docking is still part of the AKC standard. In other parts of the world, the tail is not docked as is shown in the picture to the left. A Silky’s coat is long but not flowing to the ground. It is silky soft and consists of a single layer that needs to be brushed and combed several times a week. A small amount of spray on conditioner prior to brushing will help loosen any mats that form and make the process much easier. A pin brush or soft slicker brush works well for a Silky’s hair. A bristle brush will also work well. A metal comb is needed to finish and assure that all the mats have been removed. They need a bath about every three weeks or more frequently if they tend to get dirty. Use a good quality shampoo followed by a conditioning rinse. Silkys are groomed similar to Yorkshire Terriers, and you can do it yourself at home or take your dog to a groomer. Even if you plan to keep your dog’s hair long, there are parts of his body that will need trimming. A sanitary clip cleans up all the private parts and assures he will stay more decent. Hair continues to grow around the feet, so it is important to trim the hair between the paw pads and around the feet. They are less likely to bring in mud and dirt on their feet if the hair has been clipped short. The back and front of the ear tips are trimmed to about 2/3 down from the top. The insides of the ears can be clipped down to the head. Other than that, most of the grooming tasks are typical of other breeds. Check their ears and eyes for debris and clean if necessary. Clip their nails about every 2 to 3 weeks and brush their teeth daily if possible at least several times a week. 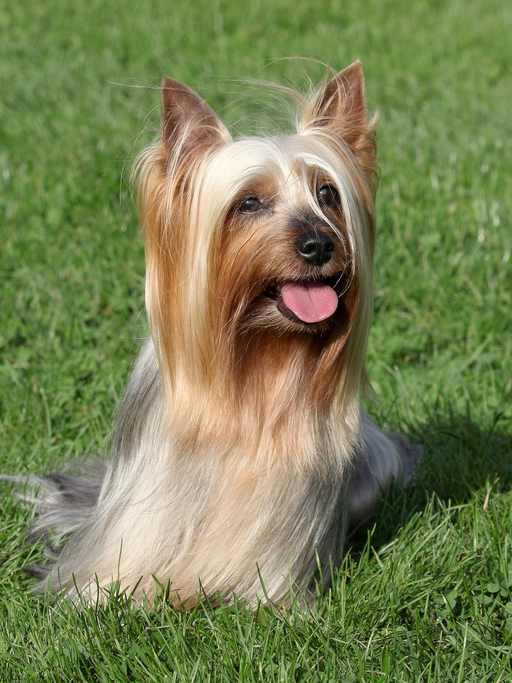 The Silky Terrier is a healthy breed, with a lifespan estimated at 12 to 15 years. Just like people, all small dogs have the potential to develop genetic problems, some of which can be reduced through genetic testing of the parent dogs. Many of the problems associated with Silky Terriers are also common in other breeds so don’t let this list scare you away from this breed. An inherited disease of the retina which can affect both eyes. It begins with night blindness and gradually progresses to full blindness as the retina deteriorates. . This is a problem in any breed where the eyes tend to be prominent. Ulcers can become an infection. 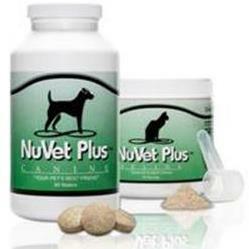 Dogs with this condition are born with a healthy hair coat but may start to show signs by six months to 3 years of age. Usually starting as a bacterial skin infection on the back and then progressing to hair loss. It is often seen in dogs bred for the fawn color. This usually occurs in older dogs because the c-rings that make up the trachea are not rigid enough to hold the trachea in place, so the trachea collapses when the dog inhales. For information about adoption and rescue, a good place to start is Petfinders, a searchable database of adoptable animals. You can also search their nearly 14,000 animal shelters and adoptions organizations in the U.S., Canada, and Mexico. We always recommend that you know as much about the breed of your choice before you begin your search for an adoption agency or a reputable breeder. The following may be useful and can be purchased from Amazon.